Shirts With Random Triangles: Tom Herman And Houston "Agree In Principle" To New Contract. 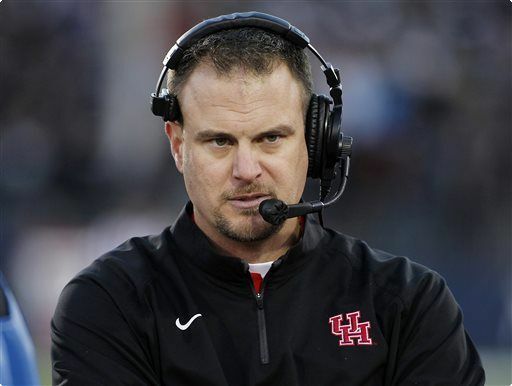 Tom Herman And Houston "Agree In Principle" To New Contract. Tom Herman. Image via readingeagle.com. If you had Tom Herman on your list of candidates for your school's next head coach you are out of luck. The Houston head coach has announced that he and the school have "agreed in principle" to a new contract. Mark Berman of Houston television station KRIV posted video of Herman's announcement of the agreement on Twitter on Monday afternoon. Houston is 11-1 following the end of the 2015 regular season, will face Temple for The American Athletic Conference title this coming Saturday.